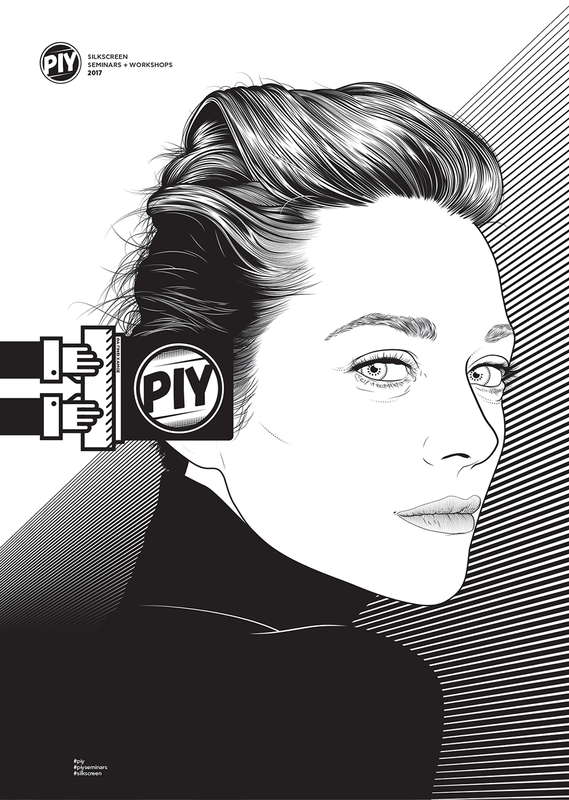 PIY – Print it Yourself – is a series of screen printing Seminars and Workshops. 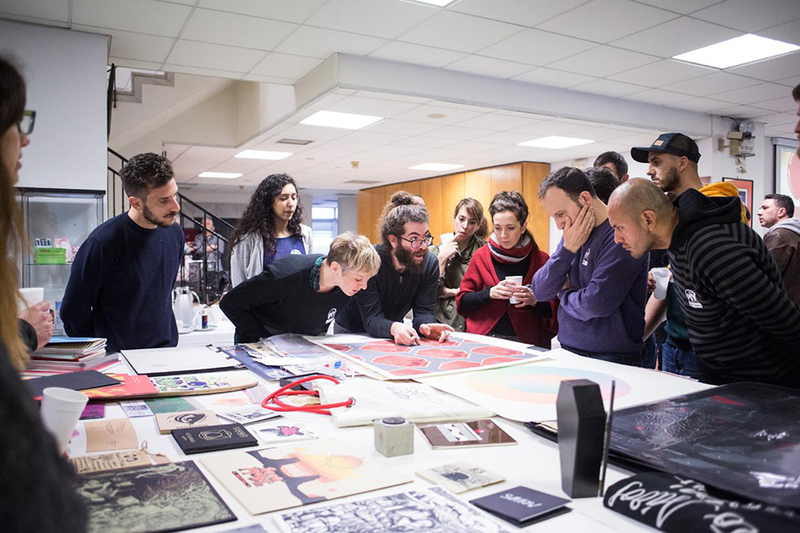 PIY Seminars & Workshops last for four weeks and the aim is to spread the art of screen printing in the fullest and most practical way. 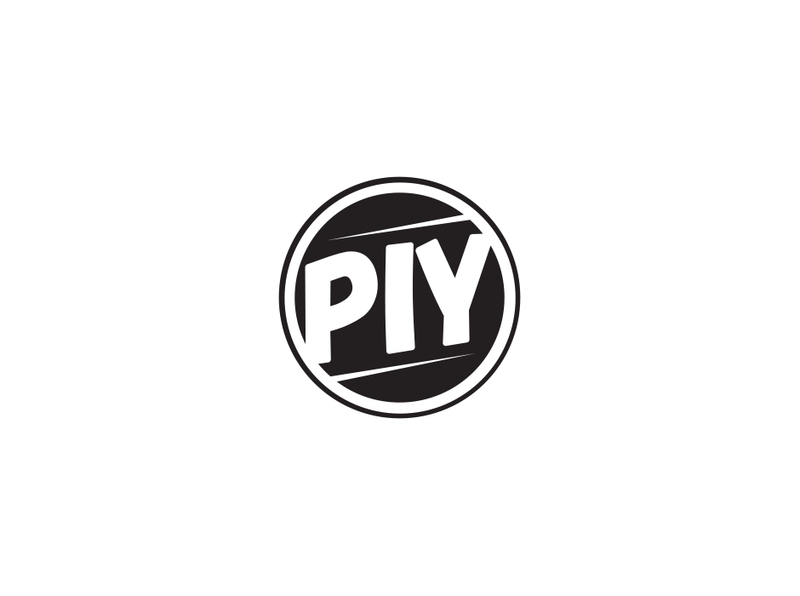 The program of PIY Seminars & Workshops include learning the basic theory of silkscreen, design workshops and print workshops on cloth and paper. Participants are asked to print their own designs on the surfaces of their choice. We were guest lecturers and design tutors for 2017, so we were asked to design a poster for the event. We combined our two styles, the fine details vector illustration by Twelve Times Two and the character like illustration by B-positive. So it was a classic collaboration. 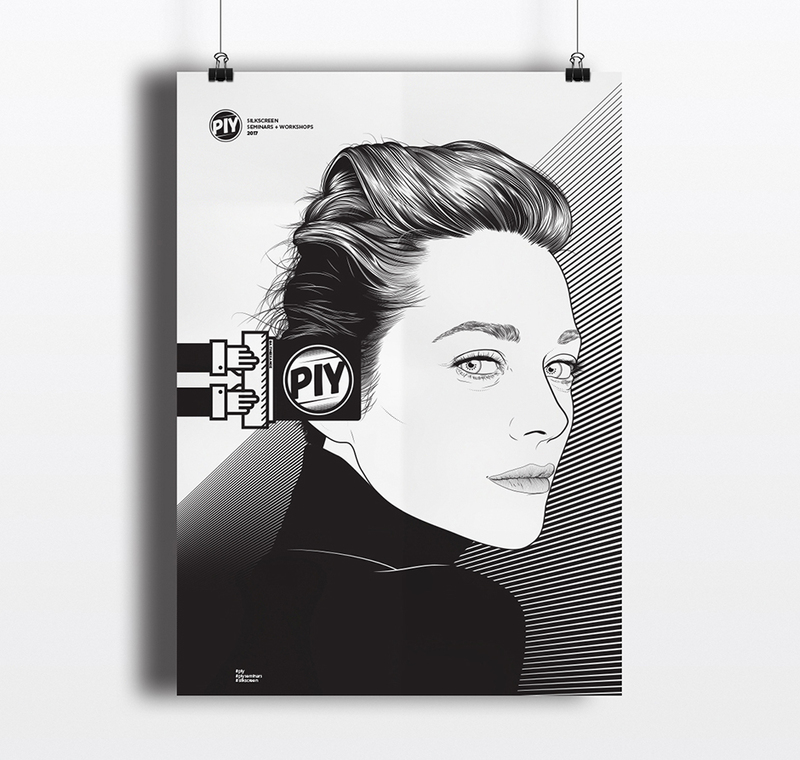 Marion Cotillard met with the a bold hand holding a screen print squeegee in a black and white poster. The poster has a few halftone parts, with lines and dots as it would be screen printed by the students on the first day. So it’s also a small guide on how someone can print tone. 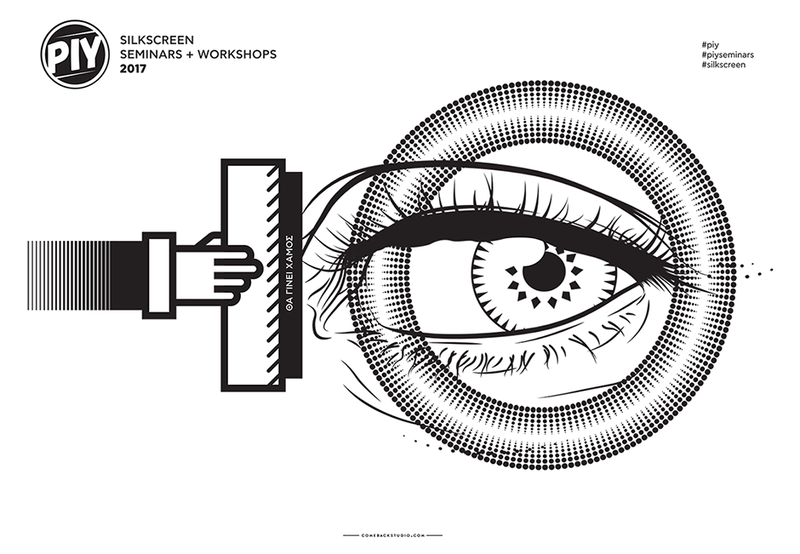 A more simpler version of the poster was printed on day one of the seminars. Small print reads: “It is going to get messy”.